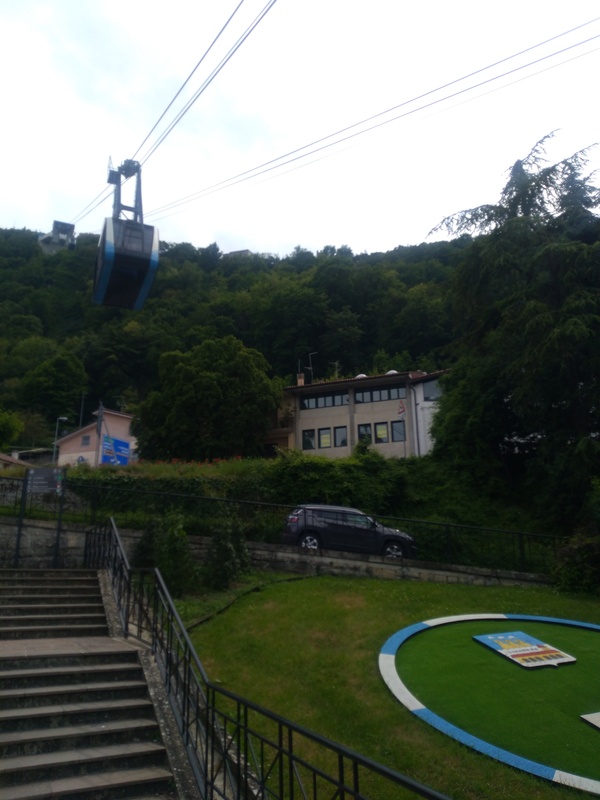 The cable car which connects San Marino City to Borgo Maggiore was built in 1959 and since then it’s become a convenient form of public transport as well as a tourist attraction. The return ticket costs only € 4,50 and the ride lasts 2 minutes. Since I had the TuttoSanMarino Card which you get free if you stay at a hotel in San Marino I paid even less for my return ticket. There’s also a stone footpath from Borgo Maggiore to San Marino so if you’re fit enough and feel like walking uphill for hours you don’t need to use the cable car. I enjoyed my short and slow cable car ride but unfortunately I didn’t manage to take any really good photos during it because there were a lot of people in the cable car. 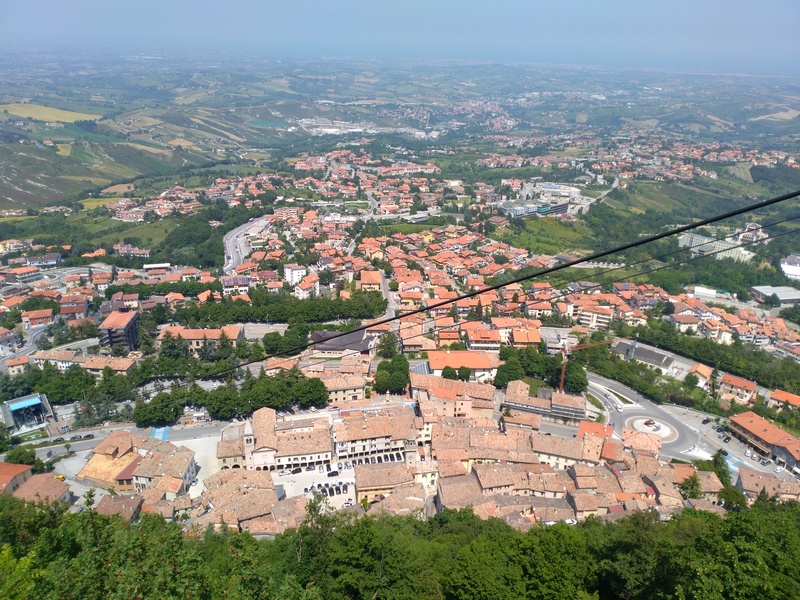 Nevertheless, the cable car ride was quite scenic since you can see almost all the way to the Adriatic Sea. 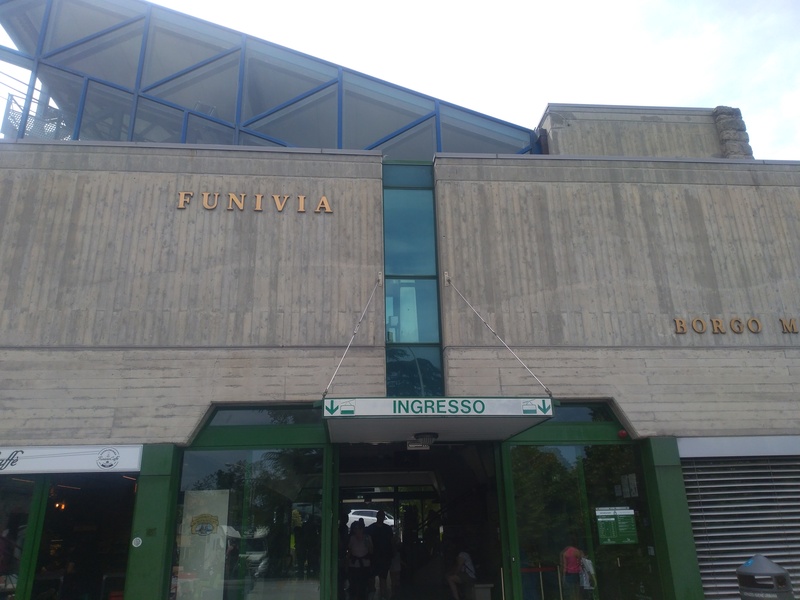 There’s a bar and a souvenir shop at the cable car station in Borgo Maggiore. I exited the cable car station and went upstairs to the main road. 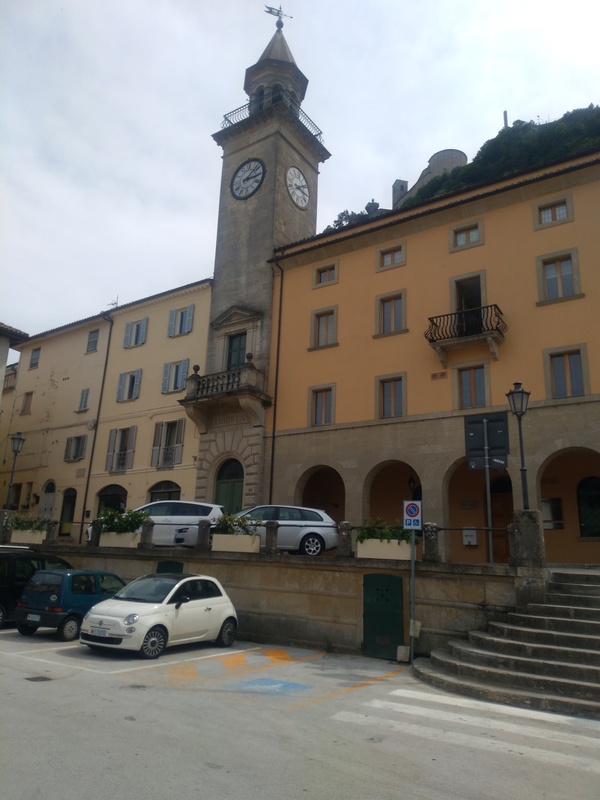 Just across the road is the historic center of Borgo Maggiore. The main square (Piazza Grande) still hosts a traditional weekly market on Thursdays. It’s a rather pleasant medium-sized square with the Clock Tower and the Church of SS Antimo and Marinus. I wandered around the square and the side streets for a bit and took some photos before I returned to the cable car station from another direction. Apart from the historic center you can also visit the Museum of Natural History in Borgo Maggiore as well as the modern church of Our Lady of Consolation. 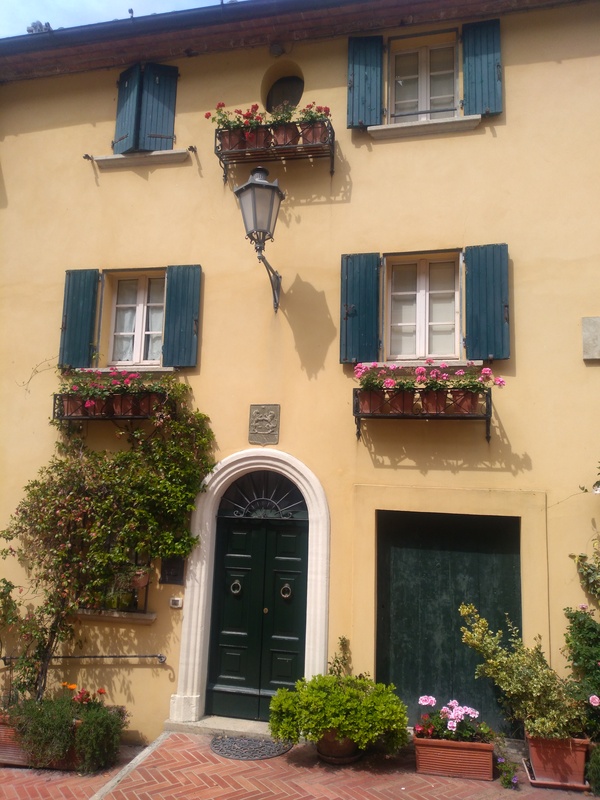 When I finished my short sightseeing of Borgo Magiore I bought a cute souvenir T-shirt for my baby boy before I went back up to San Marino City to join my family. Have you seen my photo post of San Marino City? 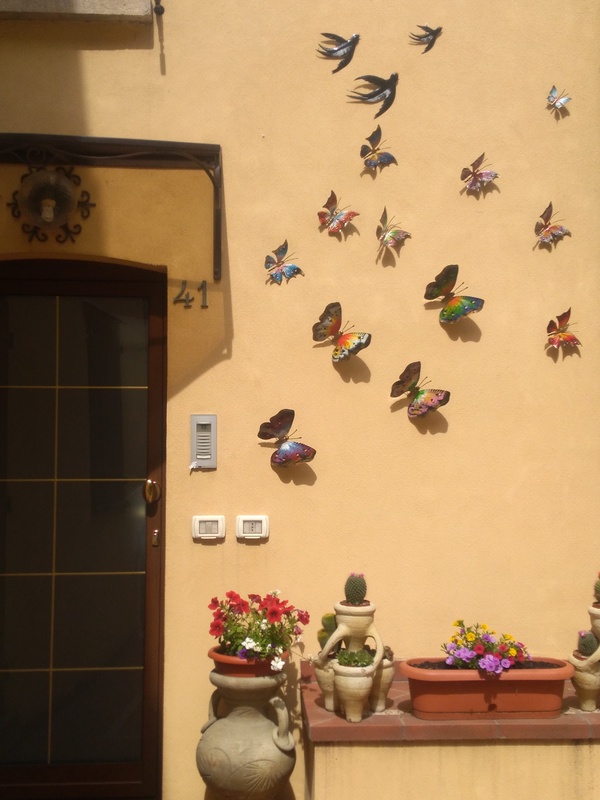 Borgo Maggiore looks like a cute town with a very arty style. The cable car sounds like a good way to get up and down the hill.